As west coast campers, having a tarp in our RV is a necessary addition. It doesn’t matter how much we spend on a tarp, the grommets always seem to blow out well before the tarp leaks. 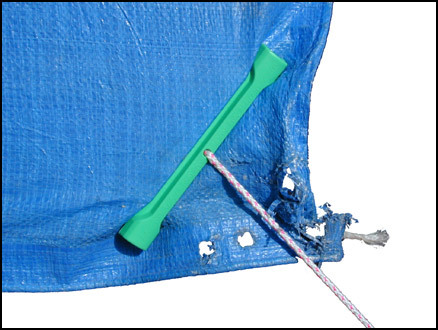 Due to the popularity of any of my tarping blogs (skyhook and How to Rig a Tarp) it appears tarping is an issues for most campers. For that reason I decide to put together a list of ways to save, repair or replace tarp grommets. There is always the old standby of putting a rock under the tarp and tying a rope around it. A better option for this is a golf ball. It is small enough in size but does not have the sharp edges to further damage the tarp. It is easy enough to keep a couple of golf balls in your camping gear in case of an emergency repair. And finally when there is no solution in sight! 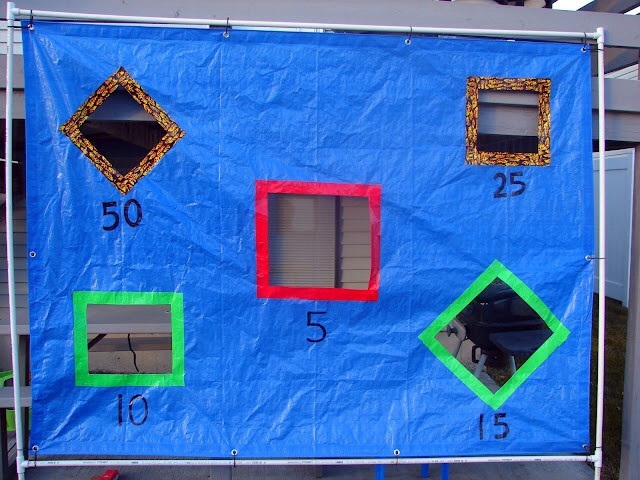 A pair of scissors and some coloured duct tape and you have an easy to store game. ← Chuckle Monday – Where did I leave that trailer. Thank you for expanding my vocabulary. 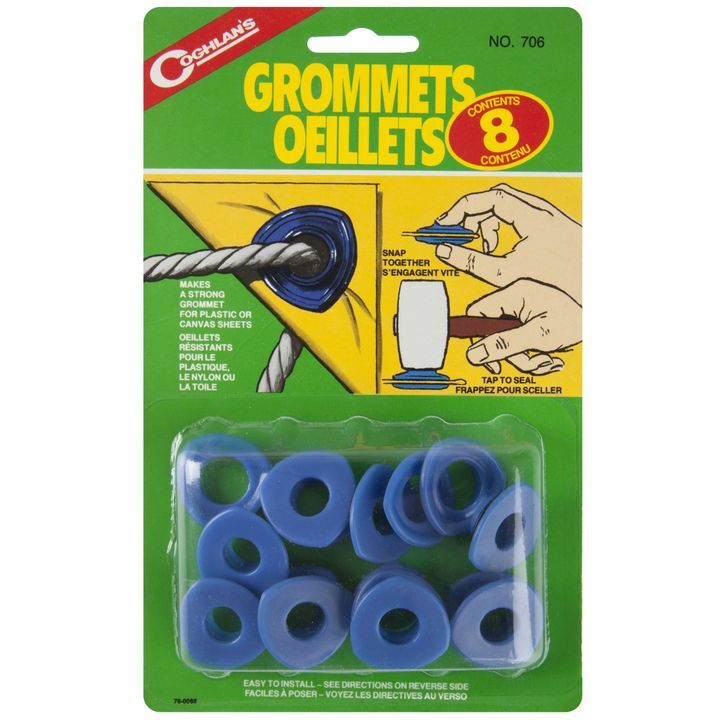 I never knew what a grommet was! Thought it was that character that “stole Christmas” in the Dr. Seuss books. 😀 Seriously, your tips are fantastic. Your experience in camping and traveling provides a plethora of value for others. In many cases, it not only provides great tips on things to do, but also provides great preventative ideas to avoid situations that could ruin a successful outing. Great job! I love the game idea, nice! Yes, I wish I had found it before i trashed this years tarp. You’re thinking of the Grinch – Grommet is the canine, but mute, pal from Nick Parks stop motion masterpiece(s) Wallace & Grommet. .